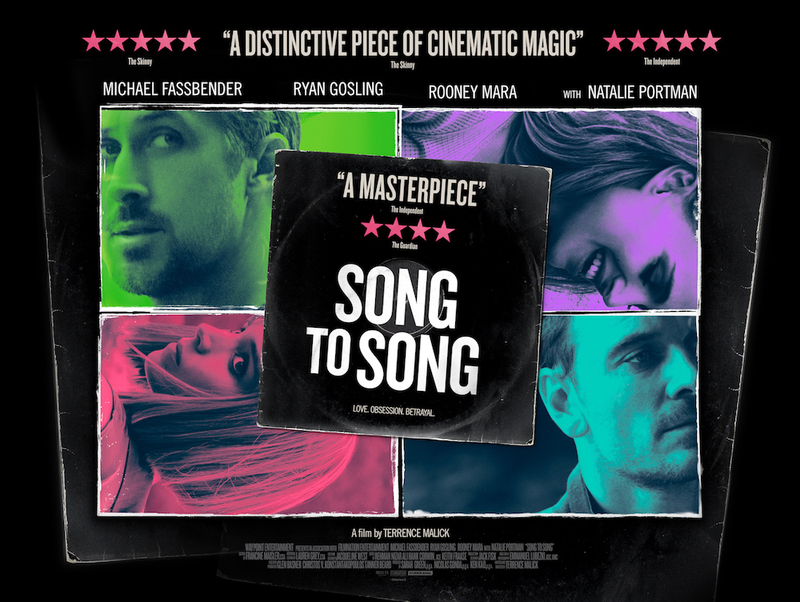 SONG TO SONG is the new love story from filmmaker Terrence Malick. Set against and inspired by the Austin, Texas rock and roll scene, the film follows four interconnected lovers as they tumble and clash in both their roller coaster musical careers and rule-breaking intimate lives. Amid a world driven by youth, passion, lust, drugs and creativity, the story hones in on one couple who find in each other a way to bust through all the wild distractions of our modern lives and seek satisfaction in a new way. Filmed throughout Austin and at its world-famed music festivals by three-time Academy Award winner Emmanuel “Chivo” Lubezki, SONG TO SONG features unexpected performances from some of contemporary cinema’s biggest stars including Michael Fassbender, Ryan Gosling, Rooney Mara and Natalie Portman – as well as a multi- generational array of musicians including Patti Smith, Lykke Li, the Black Lips, the Red Hot Chili Peppers, Iggy Pop, John Lydon and more.